﻿R is a young man with an existential crisis–he is a zombie. He shuffles through an America destroyed by war, social collapse, and the mindless hunger of his undead comrades, but he craves something more than blood and brains. He can speak just a few grunted syllables, but his inner life is deep, full of wonder and longing. He has no memories, no identity, and no pulse, but he has dreams. After experiencing a teenage boy’s memories while consuming his brain, R makes an unexpected choice that begins a tense, awkward, and stragely sweet relationship with the victim’s human girlfriend. Julie is a blast of color in the otherwise dreary and gray landscape that surrounds R. His decision to protect her will transform not only R, but his fellow Dead, and perhaps their whole lifeless world. Scary, funny, and surprisingly poignant, Warm Bodies is about being alive, being dead, and the blurry line in between. I fell in love with a zombie. There, I said it out loud and I’m not embarrassed. 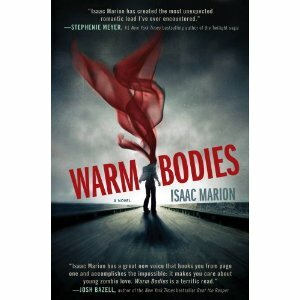 Isaac Marion’s novel, Warm Bodies, is a romance. Yes, a zombie romance! Now before you all get grossed out on me, hear me out. In this author’s post-zombie apocalypse world, you first meet R. R isn’t your typical zombie that shuffles around mumbling “Braaaaaiiiiiiinnnnnnssss!” until he stumbles upon his next meal. You step right into R’s shoes. In this world, zombies are dead (of course), and they are really reduced to the basic human needs, like food, love, companionship. But these zombies think and wax poetic about the important things in life (or afterlife in zombies’ case), but it’s all inside their head since they can only utter monosyllabic words. Zombies group together in hives, where they socialize, form hunting groups to bring back kills for those unable to hunt for themselves, adopt babies and even get married. The main character, R is a zombie first and foremost. Although he isn’t as decayed as some of the others, he can’t remember much of his life. He can’t even remember his name, only that it started with an R. His hive is a dilapidated airport that has sporadic electricity. One of his favorite things to do is ride the moving walkways back and forth, thinking about the meaning of things that he can’t verbalize. He has made an airplane into his own little home, where he collects records and other memorabilia that he finds on hunting trips. It is on one of these hunting trips from the airport into the nearest big city that R stumbles upon a small group of humans that are out on a scavenging trip at a pharmaceutical business. Once inside, they overtake the small group and R kills a teenage guy named Perry. In Marian’s zombie verse, the zombies actually get a glimpse of the human’s thoughts and memories when they eat the brain. Once R consumes a small part of Perry’s brain, he has vivid flashes of Perry’s memory, especially Perry’s girlfriend Julie. She happens to be on the salvaging trip along with a few others. Surprised by these new feelings that he has for this human, he brings Julie back to the airport to protect her. But Julie isn’t the only thing that R brings back with him. He’s pocketed Perry’s brain and he slowly doles out portions to himself so he can savor the feelings and memories of Julie. As R spends more time with Julie, he slowly starts to gain some of his humanity back, starting with speech. Throughout the novel, you get to know Perry through each little piece of him that R consumes. You also learn that zombies can be pretty articulate inside their head, but they can’t verbalize it so much. Some things are standard in tales of zombies, such as moaning, blood and guts, mindless hunger. But Isaac Marion doesn’t dwell on these items; he lets you see just how complex a zombie really can be. Throughout R’s growing relationship with Julie, the author explores how humanizing love can be, even when you’re surrounded by constant death and decay. And no matter how trapped inside yourself you are, there’s always a way to come back into the world of the living. I give this book a five plus because I loved it so much. I really hope Isaac Marian is working on a sequel to this baby because I’m dying to see how R and Julie fair while they spread the new plague throughout the world. A big thank you to Regal Literary for providing a copy of this book. And they are offering the chance to win a copy of Warm Bodies. All you have to do is fill out the form below to enter. 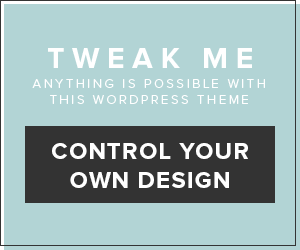 Giveaway is limited to the U.S. and Canada. 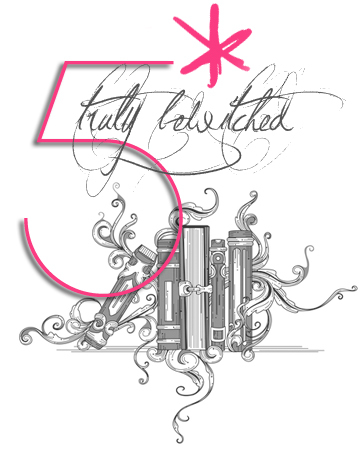 Entry deadline is midnight CST on May 9, 2011. Yay!!! I've wanted to read this one forfreakingever!!!! Thanks!! OMG welcome to the dark side Heather!! I too fell in love with a zombie or more like a horde of them actually. I couldn't believe it ether. I was like "ummm guys I think I need help here….I falling in love with a zombie!! "Glad to see I'm not alone:)) And this book looks sooooo good! I'm ready to fall in love with a new dead friend thanx for the giveaway!! OMG welcome to the dark side Heather!! I too fell in love with a zombie or more like a horde of them actually. I couldn't believe it ether. I was like "ummm guys I think I need help here….I falling in love with a zombie!!" Glad to see I'm not alone:)) And this book looks sooooo good! I'm ready to fall in love with a new dead friend thanx for the giveaway!! When I first saw this book I thought "hmmm…. 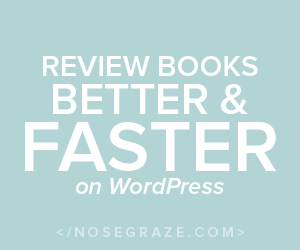 I don't know…" but after reading all of these glowing reviews I think I'm just going to have to read it for myself! Oh yesssss this sounds soooo awesome!! And welcome to the dark side Heather. I too fell in love with a zombie….or a whole horde of them rather;) And I was all "Ummm guys I need a little help here! I think I'm falling in love with a zombie!!!" The a few pages later.."Ahhhh now I'm crying for one EEKKKK OMG I'm a goner!" order a pizza from a pizzeria’s website. Keeping this craze in mind companies are opening outlets in different parts of the world.